I was 17 years old and had decided to become a social entrepenuer. My only problem was that there was nobody that I could identify with for resources, tools, stories and the like. That had either were young just like me or someone actually doing the work. The reason I created Just BE Cause: Ah Ha Moments to INspire the Next Generation of Change Makers book is simple, this is exactly what I needed when I created my first social venture, The SWT Life. This book has been in the works for the past two years and as the Marketer Seth Godin says it is time for me to finally SHIP. It will be released in February 2013. Just BE Cause is a brand new book about social entrepreneurship for Millennials that want to change the world; it’s written by 33 contributors of the Millennial generation and some really cool adults, because there is no text written by us speaking directly to us. First and foremost I would like to say THANK YOU for the work and innovation you are committed to creating in the world. Because of your dedication, you continue to inspire me and I appreciate you! I am writing to let you know that I recently completed a brand new book called Just BE Cause: Ah Ha Moments to Inspire the Next Generation of Change Makers. It's about social entrepreneurship for Millennials that want to change the world; it’s written by 33 contributors of the Millennial generation and some really cool adults, because there is no text written by us speaking directly to us.The reason I created Just BE Cause is simple: It is exactly what I needed when I created my first social venture, The SWT Life at 17 years old. Just BE Cause has been in the works for the past two years and as the Marketer Seth Godin says, it is time for me to finally SHIP. This book will be released in February 2013. The reason I am writing you is to ask if you would be interested in either (a) partnering to create content geared towards your audience or (b) allowing me or any of the other contributors to write a guest post. 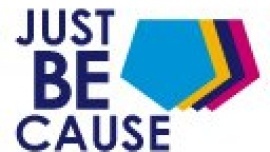 Just BE Cause is a collection of stories, anecdotes, and wisdom from community leaders, innovators, leverage experts, executive directors and CEOs. The book breaks down Social Entrepreneurship–providing definitions, examples, and history–ultimately advising Gen Y on how to use our unique values and ideologies to create social change and spread the world's wealth while doing it. Ideally, those who read it will use the gems to help them start their own socially-motivated entrepreneurial enterprise. mechanism that makes a difference. Just BE Cause is a collection of stories, anecdotes, and wisdom from community leaders, innovators, leverage experts, executive directors and CEOs. The book breaks down Social Entrepreneurship – providing definitions, examples, and history, – and ultimately advises Gen Y on how to use our unique values and ideology to create social change and spread the world’s wealth while doing it. Ideally, those who read it will use the gems to help them start their own socially-motivated entrepreneurial enterprise. FORBES: "Names You Need To Know"
"GenJuice's Top 100 Most Desirable Mentors"
Fast Magazine's: "100 Most Creative People"